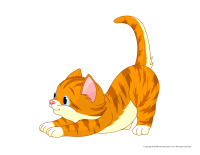 Little feline lovers will enjoy the workshops, games, crafts, and activities included in this theme. 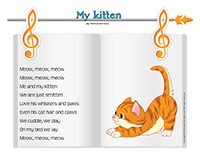 Activity sheets, coloring pages, word flashcards, puppets, a picture game, and many other documents that will have your group purring like kittens. 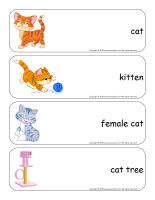 (Open educa-theme-Cats and kittens) Print and laminate the different elements representing the theme. Use them to present the theme to your group (and their parents) while decorating your daycare. 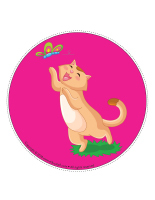 (Open educa-decorate-Cats and kittens) Print, laminate, and cut out the illustrations. Use them to decorate your walls and set the mood for the theme. 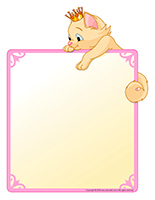 (Open garland-Cats and kittens) Print and let children decorate the items. Cut them out and hang them on a ribbon or string to create a garland. NEW! This tool was created in response to a special request we received. 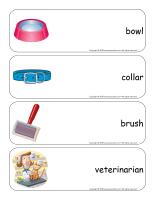 (Open group identification-Kittens) Print and laminate the items. 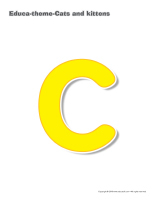 Use them to identify children’s spaces and belongings within your daycare or cloakroom. 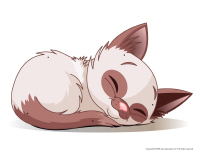 (Open Poni discovers and presents-Cats and kittens) Print and laminate the pictures. Use a Poni puppet (or another puppet children are familiar with) to present the pictures to your group. NEW! The pictures may be used as a memory game or to spark a conversation with the group. Use them to decorate the daycare or a specific thematic corner. 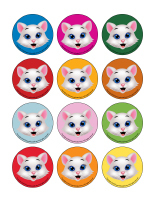 (Open picture game-Cats and kittens) Print, laminate, and store in a “Ziploc” bag or in your thematic bins. 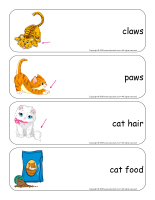 (Open writing activities-K like kitten) Print for each child or laminate for use with a dry-erase marker. 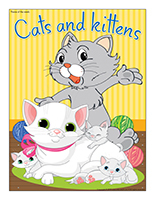 (Open educa-nuudles-Cats and kittens) Print for each child. Have children color the sheet and use Magic Nuudles to give it a three-dimensional look. Variation: You don’t have Magic Nuudles? Have children fill the spaces designed for Magic Nuudles with bingo markers or stickers. To order Magic Nuudles. (Open stationery-Cats and kittens) Print. The stationery may be used to communicate with parents, in your reading and writing area, or to identify your thematic bins. 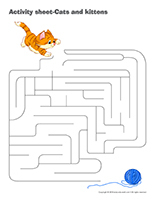 (Open my kitten path) Print the items and secure them on the floor to create a path within your daycare. The path can lead to areas children visit daily such as the bathroom, the cloakroom, etc. If you prefer, you may use the shapes to delimit various areas. (Open game-This is my spot-Cats and kittens) Print two copies of each picture. Use adhesive paper to stick one copy of each picture on the table. Set the other copies in an opaque bag. Children take turns picking a picture out of the bag to determine where they will sit at the table throughout the day. If you wish, you may also use the pictures to determine naptime spots or children’s place in the task train. (Open pet tracks) Print, laminate, and cut out the paw prints. Use adhesive paper to arrange them on the floor, creating a path that children can walk along. Encourage them to follow identical paw prints. Stick a picture of the corresponding animal at the end of each path so they can discover who the tracks belong to. Cat treats can be used to build a variety of structures. Giant cardboard bricks can be used to build a doghouse. Empty the contents of your reptile bin on the floor (they are pets too). All figurines that represent pets (cats, dogs, birds, etc.) can be interesting additions to your area. Coloring pages representing different types of pets. Dry cat food that can be used to make collages. Birdseed can also be used for collages. Empty toilet paper rolls for creating cardboard pets using models...or children’s imagination! Stuffed animals representing different types of pets. A doctor’s kit and/or a veterinarian’s kit. Pictures of cats and kittens displayed on walls. A white shirt and gloves. Memory game involving pet illustrations. Association game where children must associate baby animals to the correct parents. Puzzles related to the theme. Fur and feathers that can be manipulated and studied using magnifying glasses. Association game where children must associate animal sounds to the correct animal illustration. Sorting game: animals that have fur vs. animals that have feathers. A photo album filled with pictures of the children in your group with their pets (ask parents to provide pictures prior to the theme). Your water table becomes a pet grooming station. Include stuffed animals and figurines that can get wet, soap, sponges, and towels. Hide plastic mice and hamsters in a large bin filled with wood chips. Fill a container with water, aquarium pebbles, and plastic fish. Fill a container with feathers and encourage children to tickle their friends. A container filled with clumping litter and eyedroppers that can be used to add water. The clumping action will impress little ones. Experiments involving scents to explain how dogs have a very sensitive sense of smell. (Open lacing-Cats and kittens) Print, laminate, and punch holes around each model. Children can thread yarn, ribbon, or a shoelace through the holes. Pour Cheerios in a small bowl for each child and set the bowls on the floor. Invite children to eat their snack like a cat or kitten. Have them position themselves in front of their bowl on all fours and eat their cereal without using their hands. (Open model-mouse) Print, cut out, and hide tiny mice throughout your daycare. Children pretend they are cats hunting for mice. Every time they find a mouse, they must give it to you. Give each kitten (child) a ball of yarn. Have them roll their ball of yarn here and there. They can roll it around furniture items, toys, and other obstacles. Use yarn to draw a path on the floor. Children take turns completing this simple obstacle course on all fours. Set tiny bowls filled with milk at the end of the path, under a table. Children will enjoy drinking milk like a cat when they reach the end of the course. Set newspaper on the floor. Let children tear it, crumple it, and play with it as they wish. Invite each child to pick an animal (use a picture game or figurines for inspiration). Have them hide their animal in their hands. The object of the game is to describe their animal or imitate it so the others can identify it. One child pretends he is the pet store owner while the others pretend they are kittens. The pet store owner must try to capture all the kittens. When he catches a kitten (child), he tickles it. The kitten becomes the pet store owner for the next round. To begin, pick a child who will be the mouse. Set your parachute over the child. Pick a second child who will be the cat. He stands on your parachute. The other children hold the parachute handles to move it up and down to help the mouse escape. When the cat catches the mouse, he becomes the mouse for the following round. (Open color by number-Cats and kittens) Print for each child. Encourage them to color the picture per the color code. (Open educ-intruder-Cats and kittens) Print and laminate. Children must find the six intruders in the scene. (Educa-symmetry-Cats and kittens) Print. Children must color the picture on the right to make it look exactly like the picture on the left. 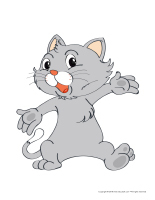 (Open educ-trace-Cats and kittens) Print for each child. Children must trace the dotted lines using the right color. (Open educ-pairs-Cats and kittens) Print. Children must draw a line between identical items before coloring them using the same color. For durable, eco-friendly use, laminate for use with a dry-erase marker. Plan to visit your local pet shop with your group. Children will love admiring the animals and learn a lot in a single visit. Select a child who will pretend to be a cat. Sit around him with the other children in your group. The cat moves from one child to the next, meowing. Each child pets the cat and looks him straight in the eyes. The first child who laughs becomes the cat for the next round. Set a variety of soft and rough items in a box and encourage children to manipulate them. Have them identify the objects that are soft as a kitten. Perform several experiments in the dark with your group. Invite children to tell you what they can and cannot see. 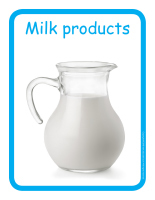 (Open educ-poster-Milk products) Print and laminate to present the food group of the week. The posters will make it possible for children to discover different types of milk products. Display them near the table where children eat or in your kitchen area. Set round crackers (different sizes), cream cheese, raisins, and grated carrots in the centre of the table. Let children use them to represent edible kittens. 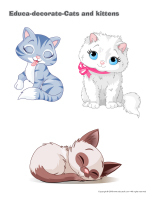 (Open models-Cats and kittens) Print the models and use them for various crafts and activities throughout the theme. (Open puppets-Cats and kittens) Print the models on heavy paper. Have children cut them out and decorate them with various arts & crafts materials. Stick a Popsicle stick behind each model to complete the puppets. (Open models-Kitten) Print on heavy paper for each child. Provide pompoms, fake fur, felt pieces, etc. Invite children to glue the items on their kitten to represent its coat. (Open masks-cat) Print for each child. Cut two holes for eyes out of a paper plate for each child. Using scissors and glue, children add eyes, a nose, a mouth, and whiskers to complete their cat mask. You can glue a string on either side of the masks so you can tie them behind children’s heads. (Open medals-animals-pets) Print and cut out. Children color and decorate the medal they prefer. Use a hole-punch to make a hole at the top of each medal. Have children thread ribbon through their medal’s hole so they can tie it around a stuffed animal’s neck. (Open craft-cat) Print for each child. Have children color the pieces and glue them on an empty toilet paper roll. NEW! 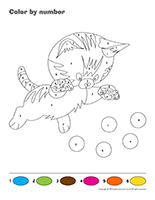 (Open coloring pages theme-Cats and kittens) Print for each child. (Open I am learning to draw-A cat) Print and laminate the model sheet. Encourage children to practice their drawing technique on the model sheet. When they are ready, they may try drawing a cat on their own. (Open complete the drawing-Cats and kittens) Print for each child. Have children complete the picture by drawing the missing elements.